Ready for Hillary is the PAC run by an environmentalist sweatshop owner and sleazy Texas storm chasing lawyer whose mission is to pave the way for the coronation of Hillary Clinton at the Democratic National Convention. their mothers holding up signs reading, "Hillary Taught Me I Can Be Anything I Want To Be" and the same media personalities who trashed her bid in 2008 will be discussing how great it will be to have a female president in 2016. The name "Ready for Hillary" is a callback to that 2008 election when the country wasn't ready for her. 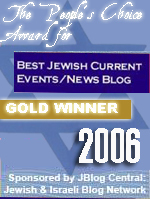 There is no admission that Hillary may have been unready in 2008. Hillary is never unready. Hillary never makes any mistakes. Not even when four Americans end up dead. It's not Hillary who wasn't ready in 2008. It was the country that wasn't ready for Hillary. And now she will graciously give the nation of fools and ignoramuses another chance to vote for her. It's a noblesse oblige that should touch even the coldest Alaskan heart. Why vote for Hillary? Because Hillary wants you to vote for her. Because she expects you to vote for her. There is that cloud of unmet expectations that she carries with her everywhere she goes, drifting through the frosty smiles that shift into the overenthusiastic mannerisms of a woman who has never gotten comfortable with audiences because she really doesn't like people very much. There is no actual reason to vote for Hillary except that she's running. Obama could at least cobble together some stage-managed charisma, a few lifted quotes from African-American writers and a pinch of skeptical leftism into the persona of a political machine. Hillary never even had that. All the charisma is on Bill's side of the family. Hillary delivers speeches with determination, but no heart. Like everything that involves dealing with people, you can tell that she's just trying to get through it. Ready for Hillary has never really gotten past 2008, the way that some Democrats never got past 2000 and are still obsessed with Bush. With Biden about as likely to become president as the ducks of Central Park are to spontaneously begin performing Hamlet for Shakespeare in the Park, Hillary has inherited the mantle, but has no idea what to do with it. And that's the story of her life. Hillary Clinton is a talented bureaucratic warrior. Put her in an organization and she will find a way to climb into a position that is the perfect jumping off point for something higher. And then when she makes the leap, she only goes halfway and ends up in an uncomfortable position. Bill Clinton got her to First Lady where she was stuck in a ceremonial role, unable to nationalize health care, but able to fire White House staffers. Bill Clinton's infidelity got her to the Senate, but then she was stuck again and fell while jumping for the White House. That got her stuck as Secretary of State and she hopes that presiding over the Arab Spring and Benghazi will do more to get her over the top than being First Lady or the Sinecure Senator from New York did. The common thread is that Hillary never does the job she has. Instead she neglects it while planning to use it to go somewhere higher up. Hillary would like to run on being Secretary of State, but she doesn't have a thing to show for her time in the State Department. Nothing good at any rate. Mentioning the Arab Spring is hopeless. And that just leaves her reset button with Russia or the opening of Burma. The trouble with either of those achievements is that they both turned sour fast. The Russian reset button failed and Muslim pressure on Burma over a flood of Bangladeshi Muslims has gotten liberals all worked up over the country. There's no doubt that Hillary has 1001 stories about all the famous people she met and how she solved diplomatic impasses through creative thinking, but none of the stories add up to anything without an issue or a region or an event that gives people a reason to care. And Hillary doesn't have that. The classier version of Ready for Hillary argues that she was cut off from authority and that no one listened to her good ideas. That puts Hillary Clinton in the strange position of running against an administration that she was part of. On the one hand, Hillary is running for president based on her work as Secretary of State. And on the other, she's not responsible for anything that happened while she occupied that position because she was really powerless. There's a cynical posturing victimhood underlying all this. It's always someone else's fault. Hillary tried her best, but they just weren't ready to let her do the job. So the only answer is to give her the biggest job in the land based on eight years in the Senate and a brief term as Secretary of State that she wants credit, but not responsibility for. 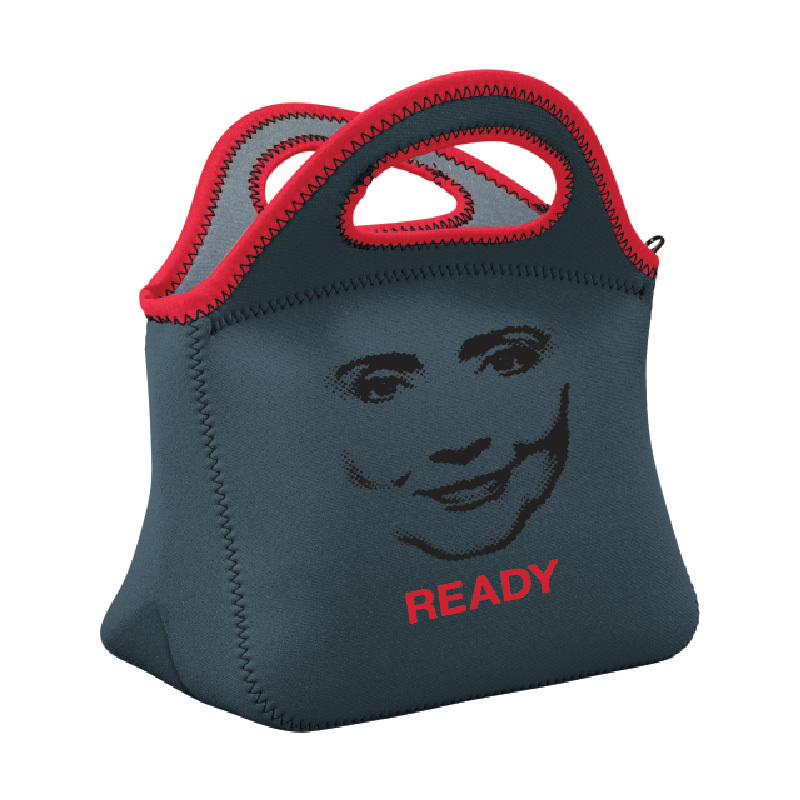 Ready for Hillary is trying to learn the lessons of the Obama campaign. But the cool is missing. They're trying to make Hillary's pantsuit cool. And they're selling campaign swag that looks like it came from a German experimentalist film made behind the Iron Curtain. 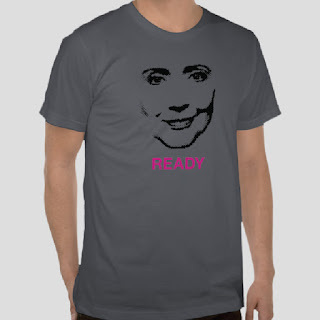 Considering that Ready is co-chaired by a woman who ran a major fashion brand, it's a little confusing why the Hillary gear looks like it was designed by a surly teenage girl after five minutes in photoshop and a lot of glue. The dominant theme is oppressive. There's nothing inspirational here. The design cues seem to have been taken from Shepard Fairey's work, not on the Obama "Hope" poster but on his "Obey" art. Instead of a disembodied face of Andre the Giant, there's a disembodied face of Hillary, looking suspiciously like her British doppleganger Emma Thompson who played her in Primary Colors. Instead of OBEY, it says READY, but the meaning is the same. After a period of appropriate mocking, the designs will be shaken up. There will be fewer red, black and gray combinations that look like they came from a Goth garage sale, but the depressive spirit of Hillary 2016 will linger on. Hillary's supporters sometimes identify with her, but they don't really believe in her. The identification is based on that sense of inevitable doom. The expectation that Hillary will get close enough to the big prize that she really wants only to have it unfairly snatched away from her grasp. It's not Hillary the diplomat, the senator or the liberal activist who inspires them, it's their own sense that they can never get as far ahead as they deserve without being slapped down. They're not ready for Hillary to win. They're ready for her to lose. They want to see her continue on, even through the setbacks the way that they continue on through their setbacks. It's not Hillary the winner that they want, but Hillary the survivor. Hillary Clinton has come to occupy the cultural space of a country song and she can't seem to figure out how to break the cycle. Ready for Hillary tries to be fresh but it carries a sizable whiff of grievance. Its underlying message is that Hillary should have won in 2008. And that message is true enough. Hillary's qualifications were limited, but they were superior to those of Obama. There were enough votes to put her over the top. And while she would have been a disaster, it's doubtful that the disaster would have been as big and bad as it was under Obama. But the real reason that she lost was that sense of futility. The plans that she and Bill had worked out came to nothing when the economy overturned and pretending to a Democrat who had national security credentials was suddenly a formula for defeat. Now the plan is to run to the left of Obama on national security. And if her record holds true, then the timing will be just as bad this time around. strong suit of the people around her. They're not creative people and they lack the instinct for risk. They wage long term campaigns and then don't understand when they fall short of their goals because the circumstances have changed. The problem isn't that the country wasn't ready for Hillary. It was that Hillary had once again misread the country. Now she may be misreading it again by promising to solve all our problems with diplomacy instead of violence. Ready for Hillary wants to make "Ready" for Hillary into what "Hope" was for Obama. But Ready is Hillary's slogan. It's what she wants. Hope is what voters want. Whether it's 2008 or 2016, Hillary still doesn't understand people. The voters don't need to be ready for her. She needs to be ready for them. These images remind me of Humpty Dumpty. Just thinking about her makes me lose my appetite. "They're not creative people and they lack the instinct for risk." For the election in 2016, so much depends on whether the American voter can be persuaded that, in reality, they're really voting for Bill or some form of a "Two for One". Bill has all the political gifts that Hillary lacks. Bill will need to win for his wife to gain the prize. All I can think of with Hillary Clinton is the image of a bloodless Foster in the park where he was supposed to have committed suicide and the Park Police handling the homicide. It was a miracle. Blow your brains out and don't bleed. And the "What difference does it make?" line she said in anger because someone had the audacity to ask her a question about Benghazi. What a nightmare for the country. The crooks are in total control. Great, I wake up to the depression that yet another not so Conservative "moderate" failed to be Markey the Marxist in my state, to reading about the inevitable-ness of Hillary. And what do the Republicans have in 2016 to fight Hillary? Rand Paul? 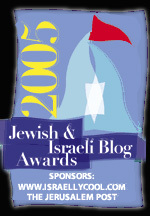 Great, so we will go from anti-Semite Obama trying to destroy America and Israel to either Hillary doing the same thing or Rand Paul doing one or the other. Hillary is a Seinfeld of politics: a woman about nothing. AG, Ted Cruz is the real deal. I didn't know much his race in Texas but after the first few comments he made on the national scene I knew he wasn't faking it. The Rove machine missed one. Just like I knew Rubio was a wake from the first time I saw him speak. I don't get everything right but I don't make mistakes about who is real and who is faking it. Rand Paul is a sincere person in the sense that he stands for something, but he is still a frequent liar for his cause. I believe Cruz will be able to overcome the "born in Canada" problem. The "feminists" need Hillary to punish men. I'm sure it's subconscious, but it's there. Don't you feel it? What does the overcome born in Canada mean? Why don't we all just throw out everything and become a bunch of city states like ancient Greeks, or tribes like the German barbarians? We can ignore the government and fight each other. The Constitution has to mean something or we will all fall into anarchy. I couldn't imagine anyone worse than Hitlery but know now how there seems to be another person who tops the one you think is as bad as it can get. Unfortunately, the Republicans are full of Hitlery's whose vision is the same as the Democrats so naturally, the one on the Democratic ticket will win. The country is already in the toilet so we might as well accept that with the remainder of Obama's term and the election of Hitlery, most likely another eight year term, the final nails will be driven in our coffin. The voters are unquestionably happy with the corruption, the lies, and with bigger government with more control over life; otherwise, more would rise up against it all. But the future belongs to the youth and they have been conditioned since birth to want a tyrannical dictator to rule over their lives as long as the dictator approves of promiscuity, abortion, homosexuality and irresponsible behavior which they know the Democrats do. Ironically, it has been the Supreme Court that has driven the big tree nails into the coffin of Western society - Roe vs Wade, Obamacare and marriage 'equality.' In these three, SCOTUS opened the door wide to all manner of evil. If Hillary wins, I wonder who the Dems will run after her. Probably a homosexual, so they can all congratulate each other on the majestic achievement of electing the first homosexual president. From there they can go to the first Muslim (well, first open Muslim, after Barack Hussein), first transgendered, etc. Generations later, after the first left-handed albino Eskimo is elected, who will they put forward then? "Bill Clinton's infidelity got her to the Senate,..."
That, and I suggest even more importantly, Rudy Guliani's prostate cancer, forcing him out of the race so Hillary had a nobody to run against. ENUF IS ENUF! NO MORE HILLARY!!!!! Patrick: Who'll the Dems run after that? Why, Daffy Duck, with Goofy as his V.P. No, wait, Daffy is a bit too masculine and clever. As I read the post, I thought the photos were something the Sultan or a like-minded person made up as a biting parody of Hillary. I double-checked by going to the Ready For Hillary website. Wow, you can't make this stuff up. Creeeepy! Dennis Latham, I wasn't advocating unconstitutional behavior by Cruz. The term "natural born citizen" is not defined in the constitution. One common interpretation is "someone who was a citizen at birth". I, and I think Cruz, chose to use this interpretation. He was born to an American citizen mother who was old enough at the time to pass her citizenship to him no matter where he was born or what the citizenship status of his father was. Well written article but I think I'm missing the point. Hillary is very flawed as a candidate, and thus her campaign will suffer from parallel flaws; however, they are mild symptoms compared to the cure-all she possesses: she's a democrat, and her opponent will be a republican. The electorate, convinced by the media, has made up its mind--without a cataclysmic event, I'd be shocked if a Republican (as we know one) ever wins the presidency again.